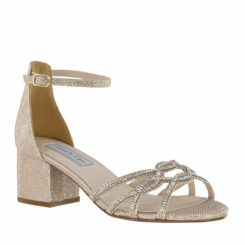 Nina Bradie colors is a platform bridal sandal. It has glossy pearl straps adorned by sparkly, rhinestone-edged flowers. 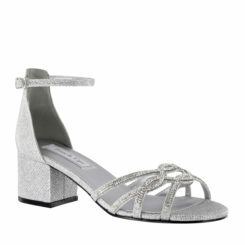 The heel height is approximately 3″. Colors include Ivory and Black. It is available in whole sizes only and sizes are limited! 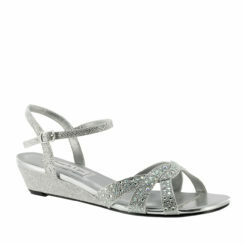 Nina Bradie colors is a high platform bridal flip flop. 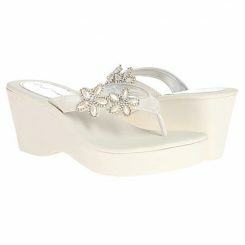 This wedge flip flop stands on 2 1/2 inch heel with 1 inch platform. 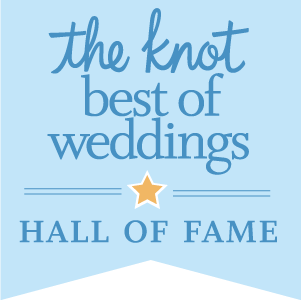 It is decorated with glossy pearl straps adorned by sparkly, rhinestone-edged flowers. Bradie has a smooth cushion insole and platform that feel soft and comfortable on your foot all day long. Its synthetic sole provide a great traction and the platform will relieve pressure on the ball of your foot. This flip flop is super cute! Bradie is available in whole size only so we recommend you to order up to next whole size. This flip flop is available in ivory and black with limited sizes!